FAST FORWARD, ACOUSTIC GUITAR CHORDS. CD TAB. 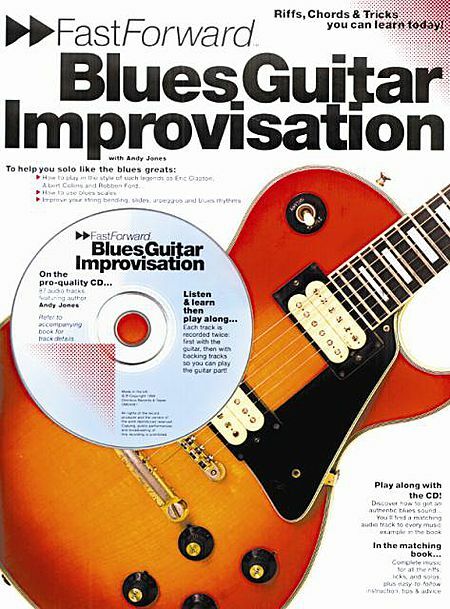 The user-friendly CD & book package, packed with riffs, licks & tricks you can learn now... and easily incorporate into your own playing style. 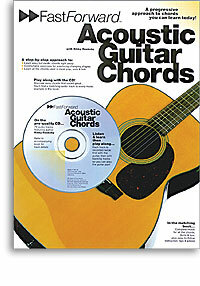 There are chord dictionaries and there are rhythm guitar books. Fast Forward Acoustic Guitar Chords gives you the best of both. Here is a progressive approach to learning chords. You will play easy chords that sound great right away. Step-by-step, encounter all the chords used in the majority of popular songs. As you go, practise chord-changing with the music. FAST FORWARD, FINGERPICKING GUITAR. CD TAB. 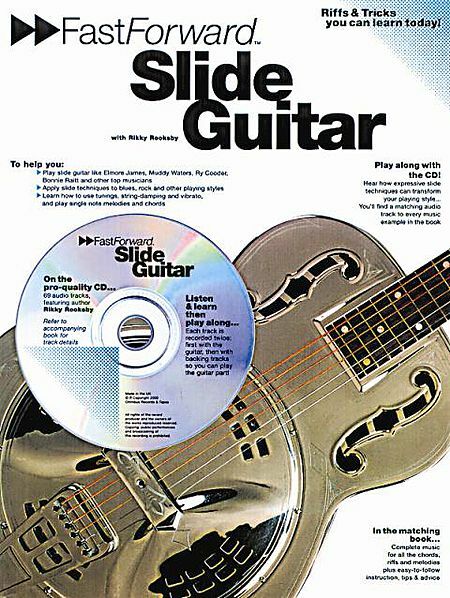 Many books on fingerstyle guitar can be dry and stuffy, but not Fast Forward Finger-Picking Guitar! In this entertaining guide, you will learn the basic techniques for using the thumb and fingers. Play simple pieces that teach you how to create song accompaniments of your own. Try your hand at Spanish, folk, blues and pop sequences and discover the magic trick of the alternating thumb! 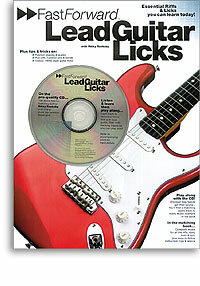 Riffs & Tricks You Can Learn Today! Now you can learn Rock 'n' Roll piano! This great book and CD will add a new and exciting dimension to your piano playing, introducing you to the foot-tapping, infectious style that is Rock 'n' Roll! First learn the rhythmic patterns that top pianists use, and experiment with improvising your own patterns and riffs. Tricks such as arpeggiated triplets, accented chords and repeated chord patterns are explained, as are crushed notes, syncopation, glissandos and rolls. Then play in the style of Fats Domino, Little Richard, Ray Charles, and Floyd Cramer. Useful practice tips are given throughout. 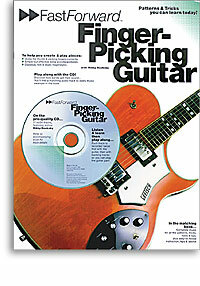 The accompanying CD enables you to hear how rock 'n' roll riffs and patterns should sound. Each track is recorded twice, first with the piano, then with backing tracks so you can play the piano part. Suitable for intermediate standard pianists.